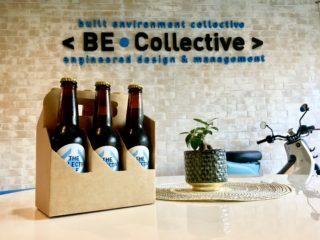 BEC’s ‘Collective Ale’ 6 Pack Giveaway! We’re giving away a heap of our hand-brewed amber ale – The Collective Ale! For your chance to win a tasty, tasty 6 pack, put us in contact with someone who could use our Structural, Civil, Hydraulic, ESD or Project Management engineering consultancy expertise. Alternatively, put us in touch with a 2+ yrs experienced Civil Designer who’s keen to join our team! Shoot through your entries by email to this address.